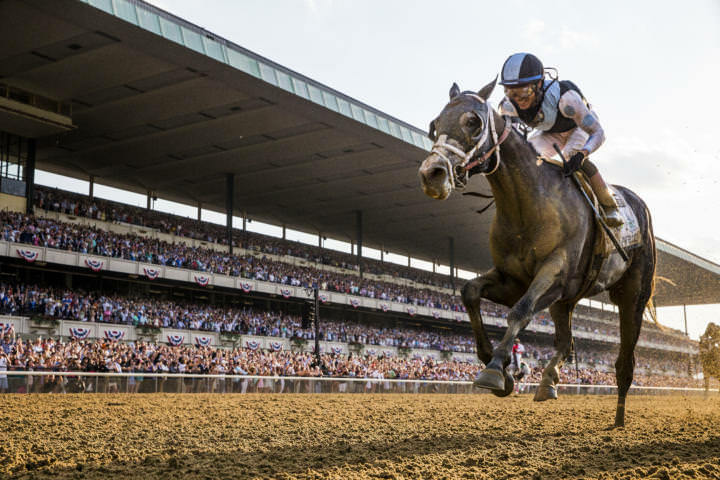 They’ve been together at various times since, at the races or other sales, and gathered again in the basement of Belmont Park last Saturday when that same colt put them in the winner’s circle for the 149th Belmont Stakes. The group, joined by Panagot’s boss and owner Robert LaPenta, were not so much giddy this time around but exuding a sense of satisfaction and even a little redemption after Tapwrit got the better of Irish War Cry in the final sixteenth of the Belmont to close the 2017 Triple Crown. Todd Pletcher was there, too, after sending out his third Belmont winner since 2007 and becoming the first trainer to win two-thirds of the Triple Crown with two horses since D. Wayne Lukas did it in 1996. Jose Ortiz, who rode his first classic winner, wasn’t on hand since he honored calls in the day’s final two races in a fitting testament to the young jockey’s strong work ethic.